The 21st June marks the start of the British summer, so why not celebrate the start of this wonderful season with a look at a selection of our giftware which makes a perfect gift of luxury to someone special this summertime? Summer is a perfect time to add bright pops of colour and style into a home. The sunny weather lifts the spirit, and brings colours to life perfect for the brightest of seasons. 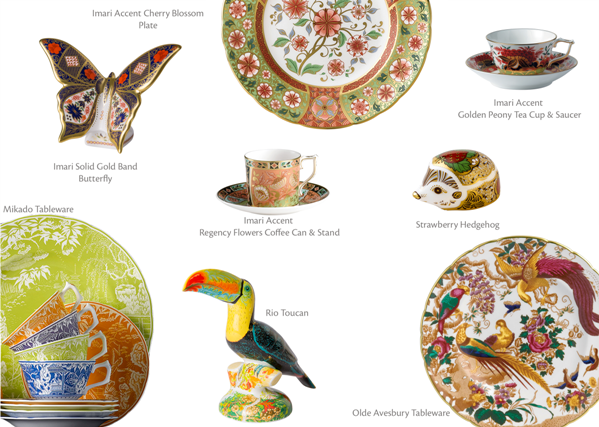 Royal Crown Derby has a wide array wonderfully colourful patterns, from the beautiful Imari Accent Plates with summery pops of rich floral colours to the fun and decorative Rio Toucan bursting with 18 different bright swirls of colour adorning the body, highlighted with flecks of 22 carat gold. There is something to suit every taste. View our full range of giftware here.